LAST GAME 10/5/15: Bengals 17 at Patriots 43. New England QB Tom Brady passes for 292 yards & 2 TDs for 110.7 rating. Patriots RB Stevan Ridley rushes for 113 yards & TD. BROADCAST CBS (1:00 PM ET): Ian Eagle, Dan Fouts, Evan Washburn (Field reporter). SIRIUS: 112 (Cin), 82 (NE). XM: 385 (Cin), 82 (NE). 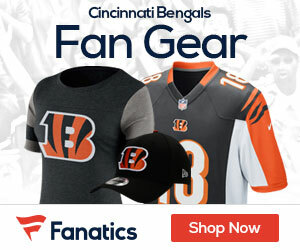 BENGALS: QB ANDY DALTON leads AFC with 1,503 pass yards. Passed for 2 TDs & had 117.4 rating in last start at NE. Has 31 games with 100+ rating & Cin. is 27-4 (.871)…RB JEREMY HILL has 10 rush TDs in past 13 (incl. playoffs). Since 2014, has 23 rush TDs, most in NFL. RB GIOVANI BERNARD had 96 scrimmage yards (50 rush, 46 rec.) last week…WR A.J. GREEN had 5 catches for 81 yards & TD in last meeting. Leads AFC with 518 rec. yards & is 2nd in AFC with 36 catches. WR BRANDON LA FELL had 2 TD catches last week, 4th career game with 2+ rec. TDs…DE CARLOS DUNLAP has 17.5 sacks in past 21. Has 3 sacks, 2 FFs & 2 PD is past 2. DT GENO ATKINS has 42.5 sacks since 2011, most by NFL DT. Atkins & LB VONTAZE BURFICT each had sack in 10/6/13 meeting. DE WILL CLARKE has sack in 3 of past 4. CB ADAM JONES is only active player with 2+ INT-TDs (2) & 5+ PR-TDs (5) in career. Had 81-yard PR-TD vs. NE on 12/31/06 (with Ten. )…PATRIOTS: Incl. playoffs, have won 27 of past 30 at home…QB TOM BRADY has won 5 of 6 starts vs. Cin. & has 12 TDs, 3 INTs for 101.2 rating. Has 5 games with 2+ pass TDs vs. Cin. & 4 games with 100+ rating. Incl. postseason, Brady is 112-18 (.862) at home as starter. Passed for 406 yards & 3 TDs for 127.7 rating last week…RB LE GARRETTE BLOUNT ties for 3rd in NFL with 5 rush TDs. Ranks 4th in AFC with 389 rush yards…Since 2010, TE ROB GRONKOWSKI has 65 rec. TDs, most in NFL. In past 15 at home (incl. playoffs), has 15 rec. TDs. TE MARTELLUS BENNETT had career-high 3 TD catches last week. Has 284 catches since 2012, 4th most by TE. WR JULIAN EDELMAN has 7 rec. TDs in past 13. WR CHRIS HOGAN had 1st career 100-yard game (114) last week…LB JAMIE COLLINS has 3 sacks, 2 INTs & FF in past 6 (incl. playoffs). DT MALCOLM BROWN had 2 sacks last week. DE JABAAL SHEARD has 3 sacks in past 3. CB MALCOLM BUTLER has 19 PD since 2015, most on team.